The dentists of Canal View Dental Surgery make it their number one priority to care for their Dublin patients using the latest technology and oral health initiatives. That includes keeping your mouth free of disease and preserving your original teeth. However, there may be a time when you or your child will need to have a tooth removed, perhaps due to tooth overcrowding, damage, a stubborn baby tooth, or future orthodontic treatment. When this occurs, you can count on our trusted Dublin dentistry to provide high-quality, professional service that will efficiently and expertly remove your tooth. Tooth extraction is usually a routine, minor procedure. Its difficulty is based on the location of the tooth that is being removed. For instance, a tooth in the front of the mouth that has a single straight root is easier to remove than a molar in the back that has several roots. Meanwhile an impacted wisdom tooth that is below the surface of the gum is most difficult to remove. You may not realize it, but your teeth are actually only attached to your jaw bone with fibers that can be carefully loosened to free the tooth. So, regardless of the level of difficulty, tooth extraction is a common occurrence that our dentists can easily help you with. Drs. Emara and Alajam are extremely experienced in performing tooth extraction procedures for patients of all ages. When Do You Need A Tooth Extraction? 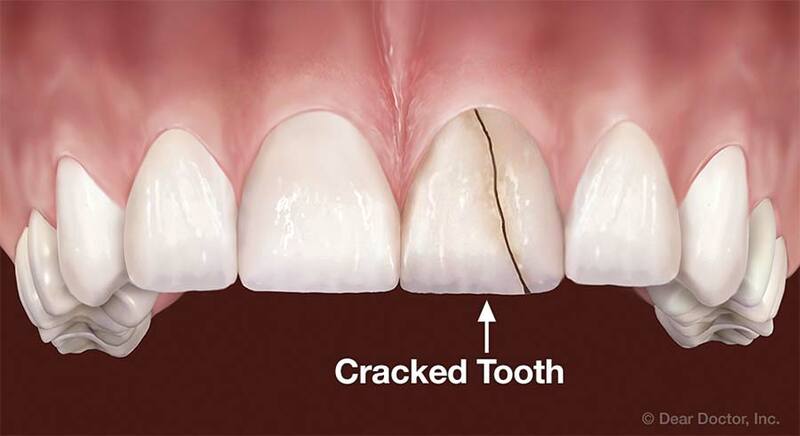 Damaged Tooth - Teeth can be irreparably damaged in a number of ways. You may have suffered an injury or accident to the mouth affecting the teeth. Or you may have serious or repeating tooth decay. Our dentists will always try to repair and save your existing tooth by using treatment methods such as a root canal or dental crown. However, in some cases it might be best to extract the tooth and replace it with a solid dental implant, which can look and function like your original tooth. Impacted Wisdom Tooth - At Canal View Dental Surgery, our dentists monitor you and your child’s teeth from your first visit as a child throughout adulthood. Through routine exams, we can keep an eye on your wisdom teeth to ensure that they are moving into your mouth as they should. However, when wisdom teeth become impacted, or don’t push through the gums properly, they can damage your healthy teeth, gums, jaw bone, and nerves. In this case, your dentist may recommend extracting the wisdom tooth before its roots are fully formed. Stubborn Baby Tooth - Your child’s baby teeth will usually fall out in their own time in the best order for his or her permanent teeth to come in normally. 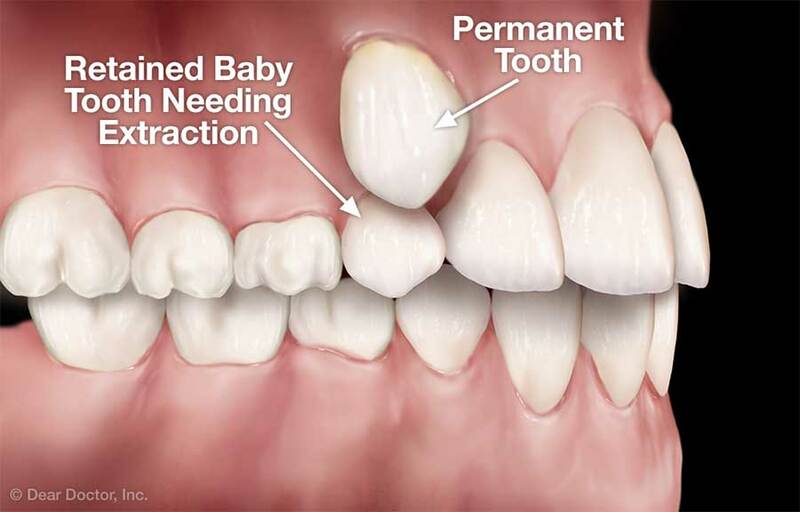 But, occasionally a baby tooth can be stubborn and will need to be extracted. Undergoing such an extraction may keep your child from needing orthodontic treatment later on. Overcrowded Mouth - Our dentists will extract teeth when there is just not enough room in your mouth for the teeth that are coming in, or in preparation for braces or another form of orthodontic treatment. Orthodontists often need the additional space in the mouth gained by tooth extraction for your remaining teeth to be moved and aligned in the proper way. For orthodontic treatment, the teeth that are usually removed are the first premolars, next the canines or eyeteeth. How Will My Tooth Be Extracted? X-rays. We will take X-rays of your teeth to determine the exact position of the tooth’s roots and to find out what kind of condition the bone around the tooth is in. These X-rays will be used to foresee any potential challenges with your extraction. Medical History. Your dentist will review your medical history to make sure you are healthy enough for the procedure and discuss anesthesia options with you. Then your appointment will be set. Anesthesia. At your appointment, your dentist will administer a local anesthesia that will numb the tooth to be extracted and the gums surrounding it. We can use additional sedatives as needed, such as: oral sedative pills, nitrous oxide gas, or intravenous sedation. Complete sedation is usually only required for more challenging tooth extractions or when you have more than one tooth that needs to be extracted. Extraction. Your dentist will carefully loosen the tendon fibers around your tooth, being careful to make sure that the bone surrounding your tooth is not damaged. If your extraction is going to lead to the placement of a dental implant or orthodontics, our dentists will sometimes place a tiny amount of lab-processed bone-grafting material into your tooth socket to retain the bone volume. Recovery. Your recovery time should be minimal at our Dublin office. Immediately after the tooth extraction, your dentist will apply pressure with sterile gauze for 10 - 20 minutes to control any bleeding. A few small stitches may also be utilized. In most cases you will want to have someone drive you home and take it easy immediately after your extraction. At Home. Our dentists may prescribe antibiotics to enhance healing and make sure that your tooth extraction doesn’t result in infection. Patients routinely encounter some mild swelling or irritation after a tooth extraction. You may want to take ibuprofen or other anti-inflammatory drugs to ease this discomfort. You may also want to use ice packs on the outside of your jaw and eat softer foods until the discomfort subsides. Within a few days your mouth should be back to normal. Call Your Trusted Dublin Dentistry Today! If you think that you may need a tooth extraction, contact Canal View Dental Surgery and speak with our experienced and skilled team and learn what options may be right for you. Drs. Emara and Alajam and their staff are all here to help answer any questions you may have about tooth extraction and your complete oral health. Together, we can help you maintain a healthy mouth that will result in a happier, healthier you!